Costs of living in Chicago are in the most expensive 20 percent of all 248 Teleport cities. Average living expenses are significantly higher compared to other cities, especially in the housing market. Moving to Chicago will very likely increase your daily costs of living. Sign up for free to get access to our cost of living index and use our international cost of living calculator to do cost comparison by city. Software Engineer salaries in Chicago are very high. For this job type, Chicago ranks 20th for salaries among 265 cities. Get access to our salary comparison calculator by signing up. Compare salaries city by city with our free salary wizard and convert your own salary to a local salary in Chicago. Do locals recommend living in Chicago? How could Chicago improve to make it a more liveable city? We will make sure that the local government will know about the suggestions that reach enough votes*. 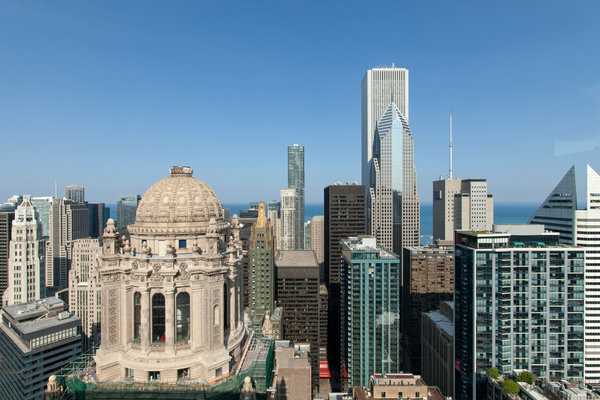 Is Chicago a great place to live? What makes it special for you? What makes it liveable? What should others know about? Why should they move here? Why do you love it? Let the jobs come to you! Sign up with your email and we’ll start working on getting job offers from Chicago delivered to you. It's free. No strings attached. You can unsubscribe anytime. The overall crime rate puts Chicago in position 245 of 266 Teleport Cities in a ranking for the safest cities. The neighborhoods on Chicago’s near northwest side are an invigorating blend of reflection and reinvention. Chicago is the home of the blues and the truth of jazz, the heart of comedy and the idea of the skyscraper. Here, the age of railroads found its center, and airplanes followed suit. Butcher of hogs and believer in progress, it is one of the world's great cities, and yet the metropolitan luxuries of theater, shopping, and fine dining have barely put a dent in real Midwestern friendliness. It's a city with a swagger, but without the surliness or even the fake smiles found in other cities of its size. As the hub of the Midwest, Chicago is easy to find — its picturesque skyline calls across the waters of Lake Michigan, a first impression that soon reveals world-class museums of art and science, miles of sandy beaches, huge parks and public art, and perhaps the finest downtown collection of modern architecture in the world. With a wealth of iconic sights and neighborhoods to explore, there's enough to fill a visit of days, weeks, or even months without ever seeing the end. Dress warm in the winter, and prepare to cover a lot of ground; the meaning of Chicago is only found in movement, through subways and archaic elevated tracks, in the pride of tired feet and eyes raised once more to the sky. Things to keep in mind when moving to Chicago. Things you should know when moving to Chicago. Tips and guides about moving to Chicago. Discover the best Chicagos events, things to do, restaurants, theater and nightlife.